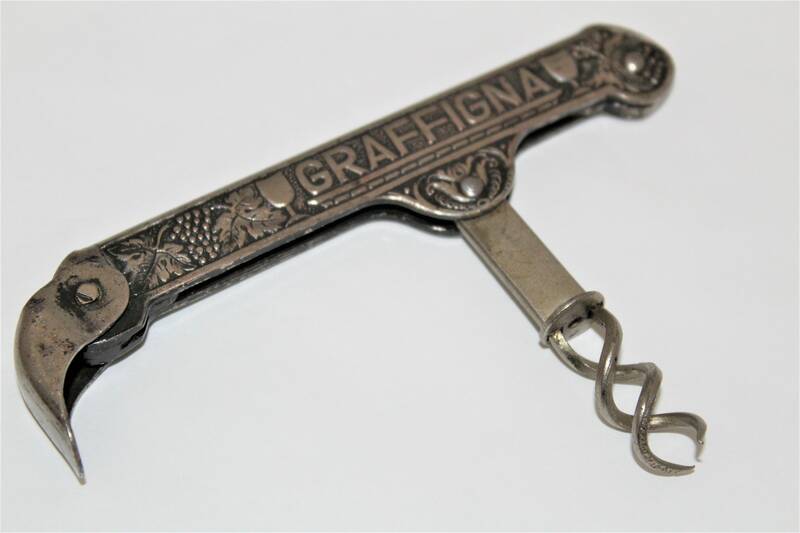 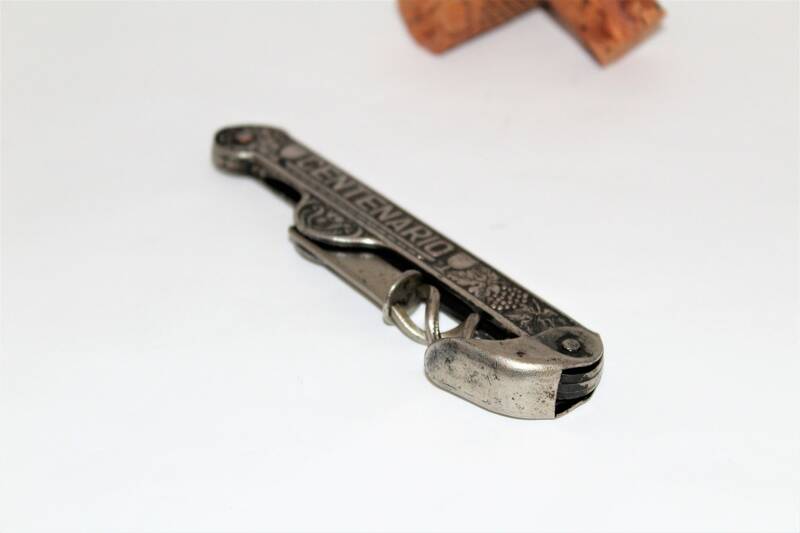 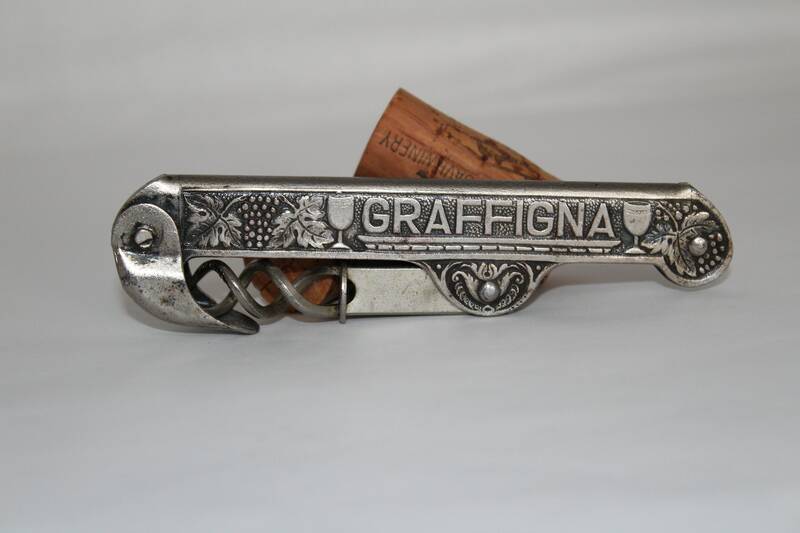 Wonderful and Extremely collectible Graffigna and Centenario Double Helix Corkscrew. 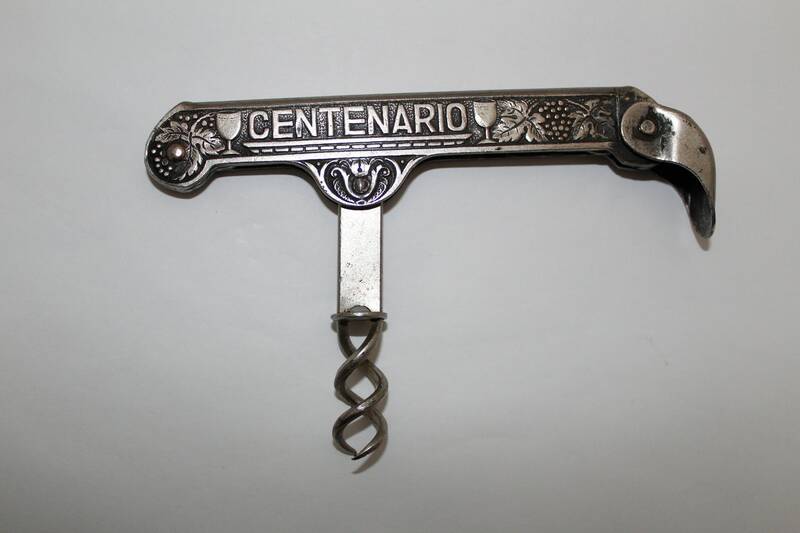 This is a very sought-after corkscrew by collectors around the world it looks like an ordinary waiter’s corkscrew upon first glance then you see it has a fold-out double helix worm (screw) designed for easy removal of a cork the end of the handle has a fold down cover which only serves one task to protect the helix when not in use. 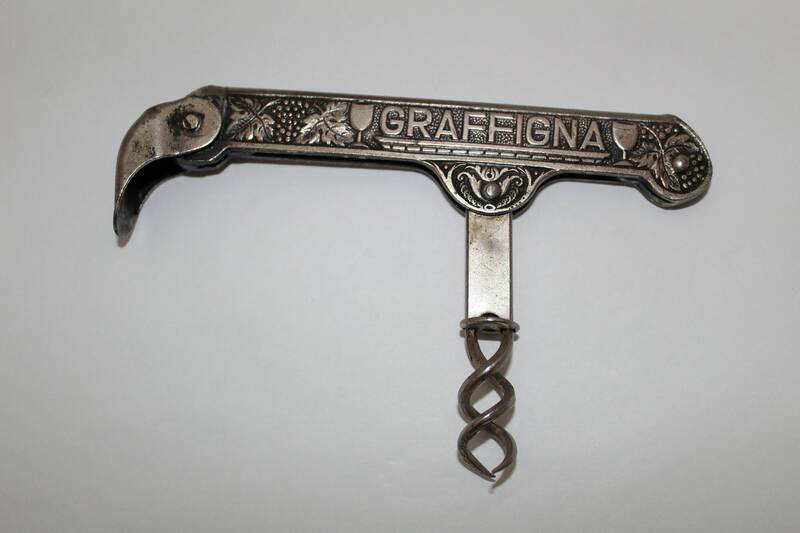 When you first pick this corkscrew up you notice its weight made of heavy gage formed steel designed to last a life time. 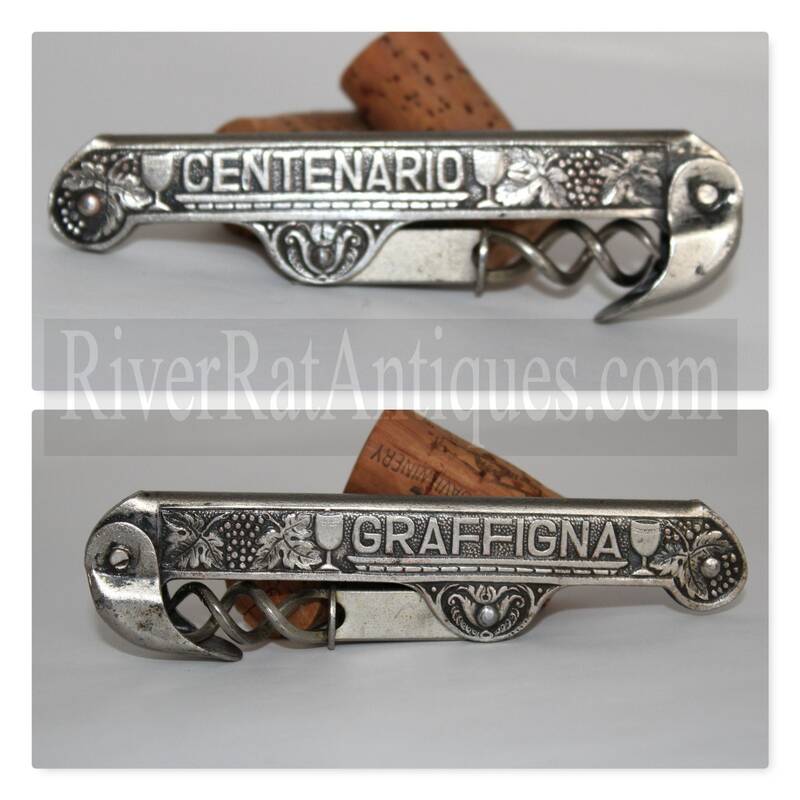 Graffigna and Centenario is an Argentinian winery which was started by Santiago Graffigna an italian immigrant to San Juan, Argentina in 1870. 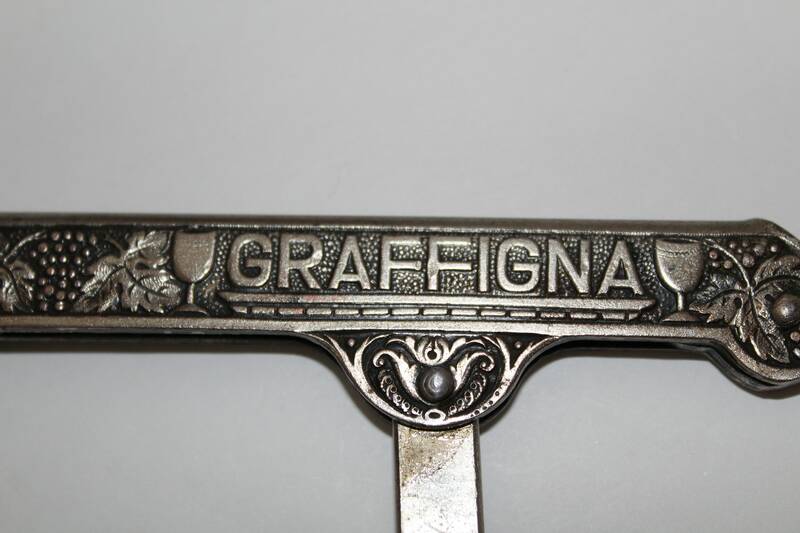 Condition: very good, a true collector piece.